Those who have been following my “book publishing” adventures over the past few months will have seen my network of stockists of The Wainwrights in Colour book speading on the google map here. This has taken time on my part to visit each and every one of these high street stores to supply them with copies of my book. It is something that I have enjoyed doing and perhaps it is this personal contact between myself and the store owners which helps to sell the book, after all, there can’t be many authors/publishers who turn up in person to hand over their books for sale. The downside to this is that I have had little time to get out and about walking and sketching and to move on to the next series of paintings. This is frustrating for me but my passion for The Wainwrights in Colour book is still strong and obviously they provide me with income. Despite travelling far and wide to find these stockists I felt that it would be good to have a stockist in our local town of Barnard Castle. The nearest bookshop to date has been The Village Bookshop in Middleton in Teesdale which considering it’s location has been selling a steady number of books. However, today I delivered my first batch of books to Oswell’s in Barnard Castle itself. I know this shop well, in fact it is located on The Bank, just a couple of doors down from where I once had The Teesdale Gallery. Now this isn’t what I would call a run of the mill bookshop, in fact it is hardly a run of the mill shop at all. It is one of those quirky individual shops that over the past few years have appeared in this historic market town which unlike quite a few towns has hardly a vacant shop. 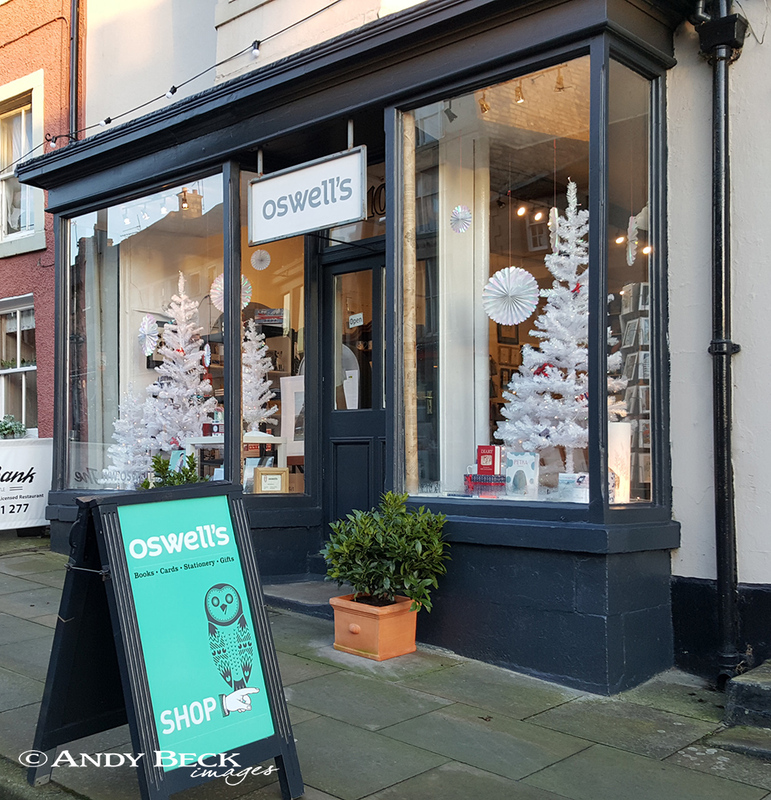 Oswell’s is filled with gifts, books and stationery that you will not find on every high street. To have The Wainwrights in Colour on the shelves here is quite an honour for me and hopefully they will sell as well as in other bookshops. 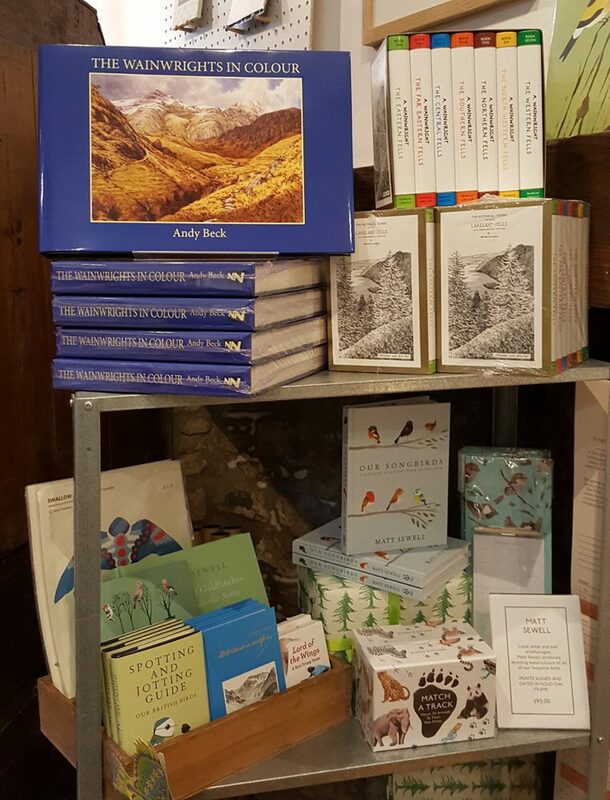 It is of course an advantage to have The Wainwrights in Colour book available to buy locally and even if the book itself isn’t on your Christmas list I can guarantee that if you take time to visit Oswell’s you will be inspired to buy an unsual gift for someone special. Tell Lisa that I sent you.